Sabudana or Sago is one of my favourite ingredients. You all must have tried or at least heard about sabudana tikki, sabudana vada, Sabudana Khichdi, Sabudana Thalipeeth All of them are yummy! I have something new for you today. Sabudana steamed rolls. Yes! they are steamed. Sabudana absorbs a lot of oil! In this recipe, I have used just 1 tsp ghee. 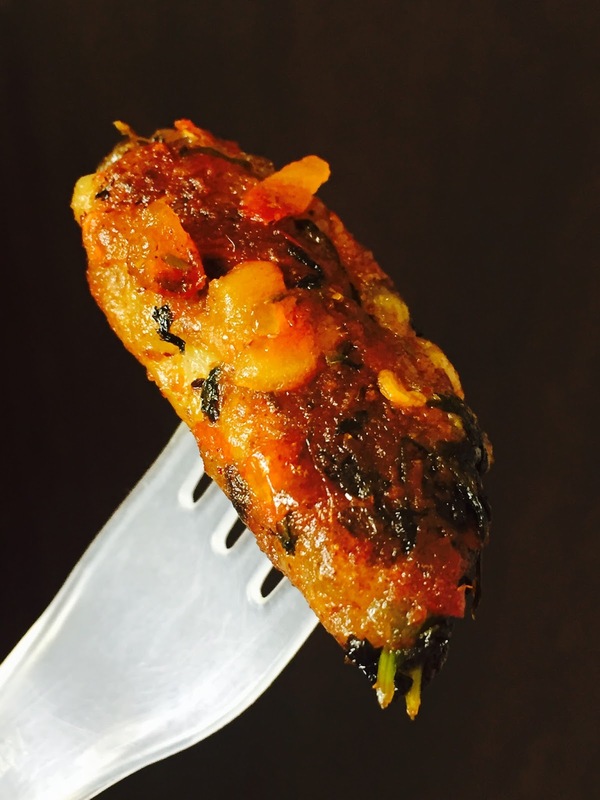 I have another sabudana recipe with minimal oil i.e, Crunchy Sabudana Namkeen. Sabudana Steamed Rolls are crispy outside, very soft and juicy inside with nice tomato flavour! It is tasty! If you want to cook something for fasting then also with little modifications you can prepare it. I have mentioned that too in this recipe. Soak sabudana in equal amount of water for 3-4 hours. Heat ghee 1/2tbsp ghee in a pan and add groundnut. let it become maroon on low flame. Add this groundnut, ginger and green chillies in a blender. Roast black pepper on pan then crush it. Mix boiled potatoes, sabudana, chopped corriander, black pepper powder, salt, ginger, chilli and groundnut paste. Take small balls from the dough and roll it in the shape of muthiya. Put these muthiyas in a steamer. keep it for hardly 3-4 mins. Don't try to remove it immediately. It will be very sticky. Let it cool down. If you want to eat it during fast then your muthiyas are ready. If it is not for fast then keep on following the recipe. Heat ghee in the pan again. Add turmeric powder, red chilli powder , bhuna jeera powder and little salt as your muthiyas will already have some salt. put muthiyas in this pan and coat it with the masala. Sabudana muthiya masala is ready! Final dish looks so inviting.